Right now tassel earrings are everywhere. I think they are so fun and can add so much to even a simple outfit. 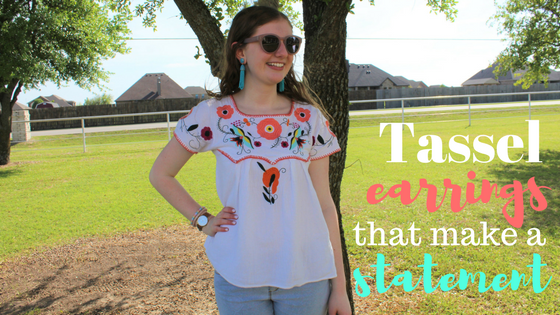 I have rounded up a few of my favorite pairs of tassel earrings that are perfect for any occasion! Tiny Tassel Earrings- earrings start at $12 and they are available in a clip on! Teal and Navy Tassels- I love the color combo and the price is great! Tassel Earring Set- I love this set, it reminds me of Barbie!